Parents Jose and Deanna were looking for Baby Photography Redwood City. They found me on Google, and I am so glad they did! We were able to schedule this session in my Bay Area studio, where I have a fabulous array of photo props and outfits to be used during photo sessions. I love this little ones adventurous spirit, and how can you not fall in love with such a handsome little guy! Elijah had me wrapped around his finger from the minute I saw him! 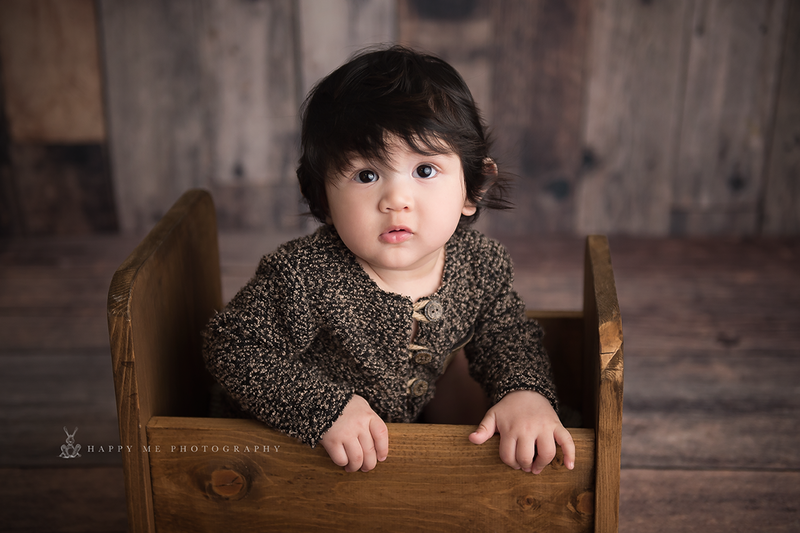 I really felt the wooden crate and the tweed-like sweater matched Elijah’s coloring so perfectly. The soft, organic backdrop and props made for some really nice photos. 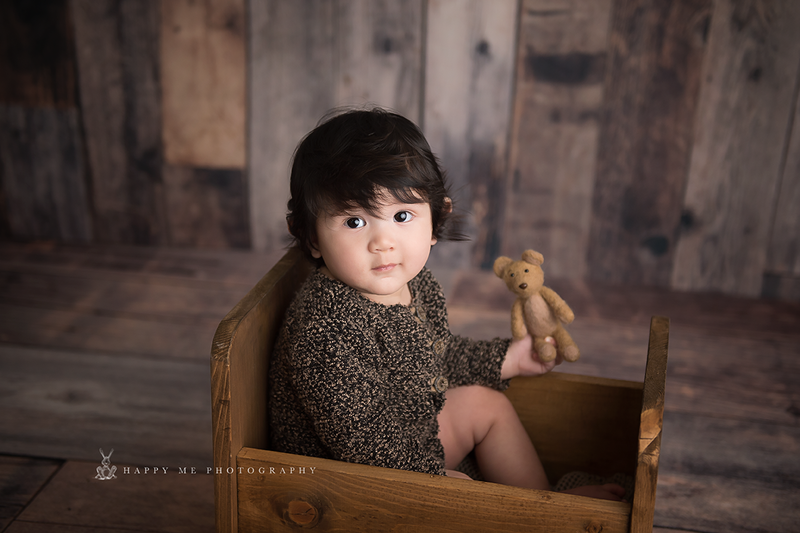 With those gorgeous brown eyes and dark curls, he is handsome beyond his six months, for sure. 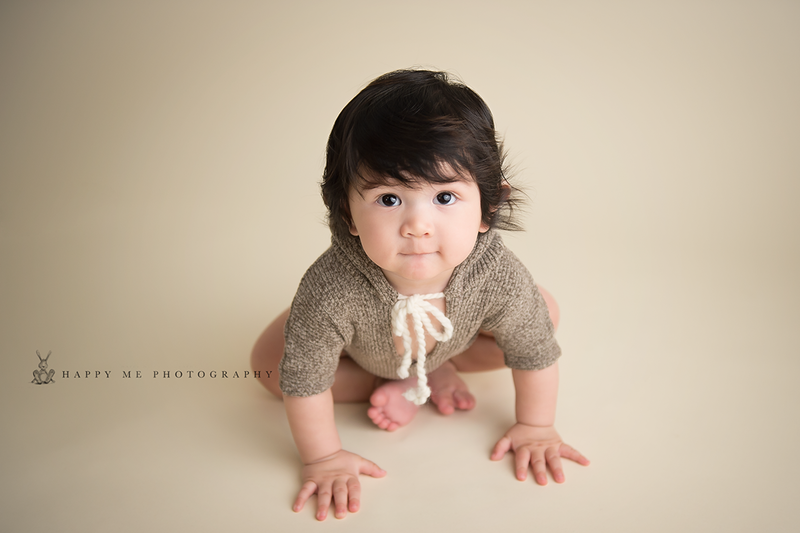 I think we were able to create some beautiful images that showed Elijah’s curiosity and his sweet toothless smile! 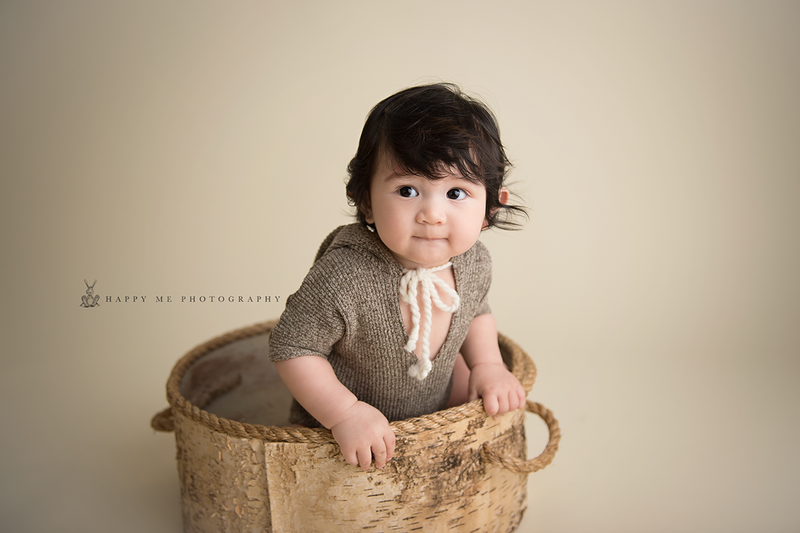 Elijah is growing up so quickly, and his awesome parents were anxious to preserve some memories of him at this milestone session. They had requested we do at least a couple pictures with Elijah naked so that they could look back at his chubby little baby rolls and flawless skin before he started growing into his toddler stage with leaner features. But it didn’t take long before I found out this little one is on the move – he is already crawling at only six months, and it made some of the photos a little more challenging to capture as we couldn’t keep him still on any of the props. You could just see his mind working on his next move in these photos. He really just wanted us to give him some time to explore! If you would like to book a milestone baby photo session you can Book me here or if you have any questions please contact me. I would love to meet your little one, and capture some great memories of your own.